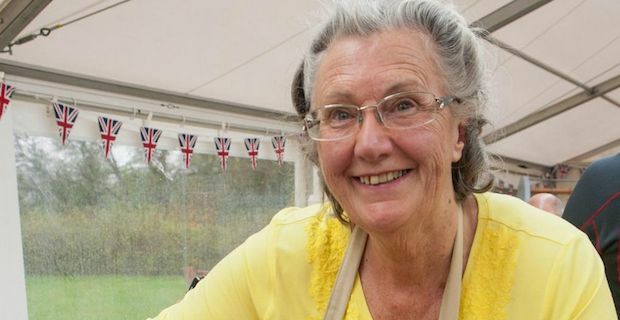 The Baked Alaska controversy on the Great British Bake Off has raised its' head again. Just days after construction engineer Iain Watters was eliminated from the show due to Diana Beard taking his cake out of the freezer, Beard has now left this season's show due to illness. After the cake was left out on the counter, the ice cream melted and ruined the cake prompting Watters to dump it in the bin in outrage. Beard fainted during dinner with the show's other contestants and believes that she may never recover fully indicating that her reason to leave had nothing to do with the melted Baked Alaska. She said "I fainted, which I have never done, and bashed my head, severing my olfactory nerve. So I have now lost my sense of smell and most of my taste." Immediately after the Baked Alaska episode aired on Wednesday, social media lit up with a barrage of criticism for Beard insinuating that she deliberately sabotaged Watters chances on the show. She is outraged that BBC shot the episode in a way that clearly places the blame on her saying "It's a form of fakery and trickery, they deliberately misled viewers and exploited me for the sake of entertainment. The BBC should be ashamed." Watters has also spoken about Beard leaving the show and he clearly feels bad about the reaction she has received from the general public saying "I feel bad for Diana because she's had quite a mauling on Twitter and I don't like all the nasty comments that have been directed towards her." He also disputes claims by the shows creators that the Baked Alaska was only out of the freezer for a minute period of time saying "I realised Diana had left it out of freezer. She moved it out of the way to put hers in. That was the reason it melted. The Bake Off told me it was out of the fridge for only a minute but I think it had to be a lot longer than a minute to melt as much as that. I was just really shocked that it had been taken out of the freezer." Jeremy Clarkson sacked by the BBC over "unprovoked attack"